Change things up on a daily basis with the reversible poster calendar for 2019! 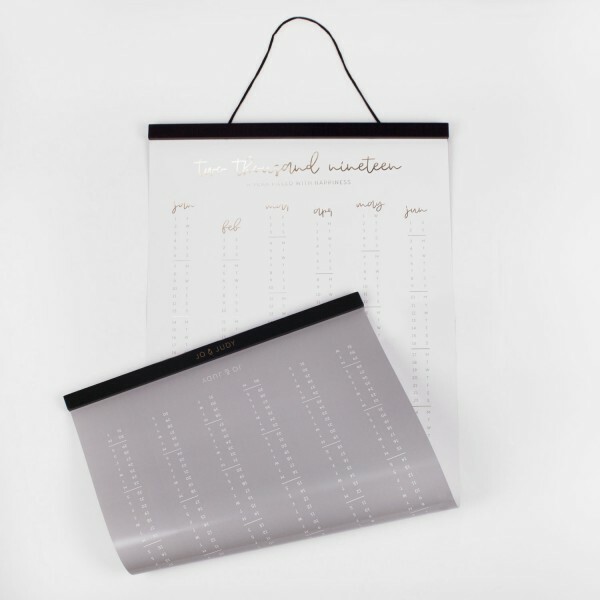 Pick the grey or white and golden design whenever you feel like it and hang the poster calendar with the black wooden print hangers in your home. Simply the perfect set for 2019!